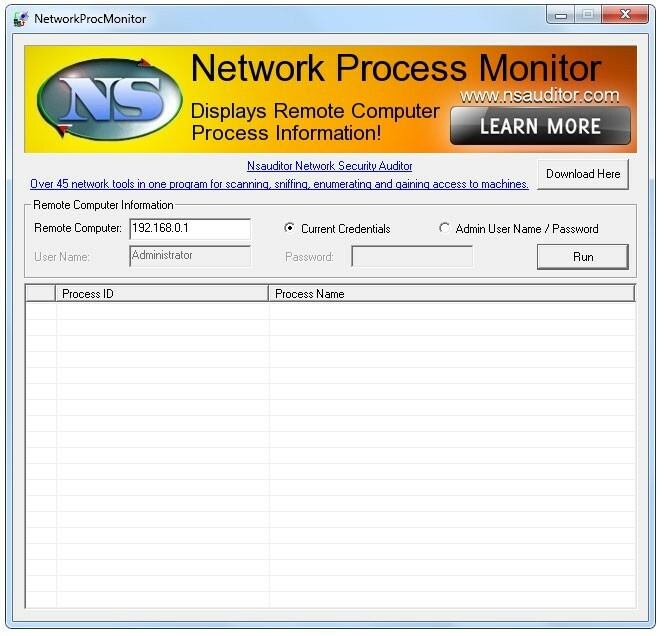 NetworkProcMonitor 1.0 is remote computing software developed by Nsasoft LLC.. This network & internet program is freeware, so you can download and use it absolutely free. NetworkProcMonitor 1.0 supports different languages (including English). It works with Windows XP/Vista. Latest NetworkProcMonitor 1.0 does not contain any spyware and/or advertise modules, allowing installing it with no worries concerning valuable information loss. Our website has thoroughly tested network & internet product NetworkProcMonitor 1.0, written the review and uploaded installation file (434K) to our fast server. Downloading NetworkProcMonitor 1.0 will take several seconds if you use fast ADSL connection.